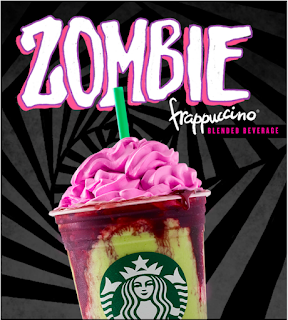 Starbucks launched Zombie Frappuccino today, October 26th, 2017 and it'll be only available till the 31st. I heard Starbucks would launch Halloween special beverage on the 26th but no details were found, and today, I received an email from Starbucks about the Frappuccino. 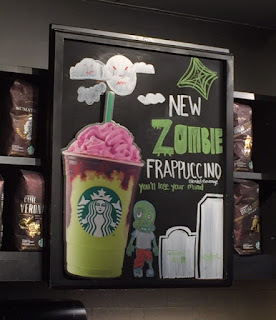 In the afternoon, I went to a branch and saw a board with hand drawn Zombie Frappuccino. Qualities of items at Starbucks in the states differ one from another, as sometimes they don't even make the newest beverage as written in the recipe, thus, I was worried if I was getting a correct item till I actually received the drink. Luckily, I got what I saw in the email, maybe the slight difference was the dark mocha drizzle which appeared to be brighter and more reddish in the mail. Not all zombies shamble out of graveyards at midnight. 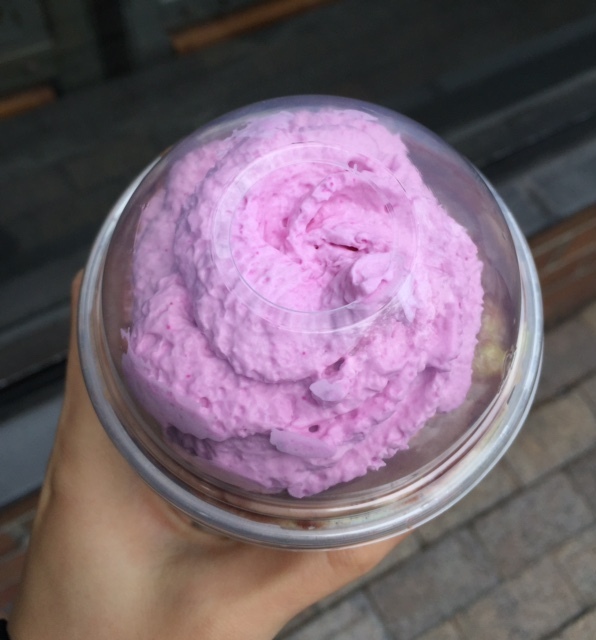 and a "brain" of pinkish whip. 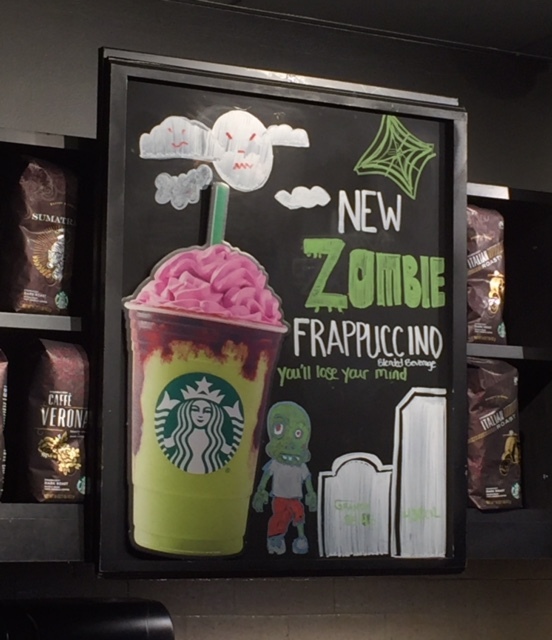 Walk, run or drag one foot with your arms outstretched to grab one of our limited-time Zombie Frappuccino Blended Beverages. 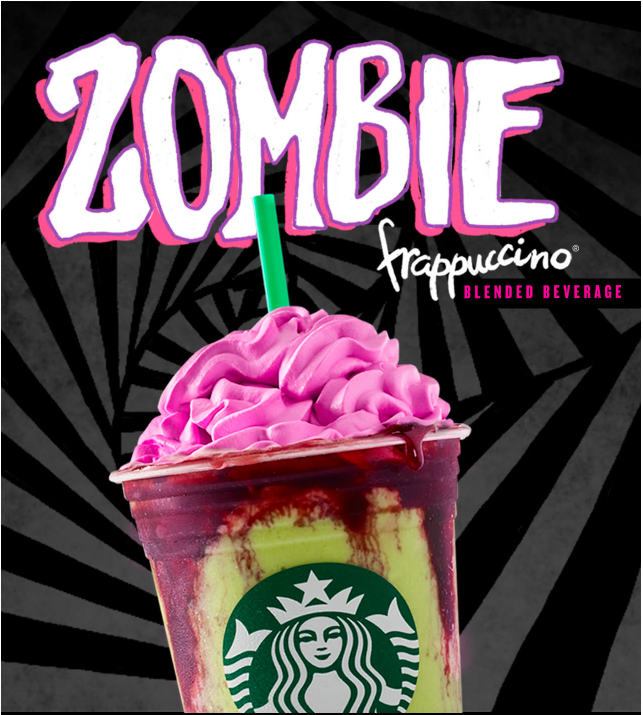 It's more treat than trick with delicious apple and caramel flavors. 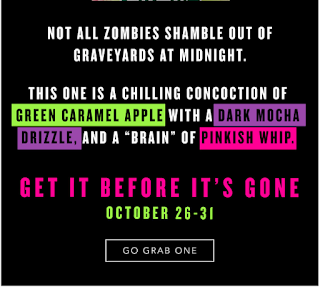 I think the drizzle was representing blood and the green caramel apple base was Zombie's face since it's under the "brain." The concept is reminiscent of a scene from Hannibal. 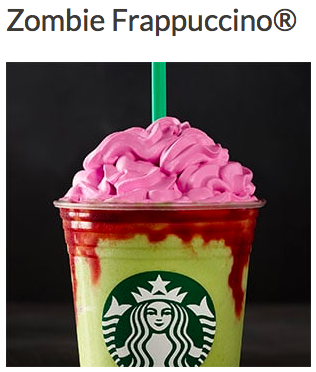 The green caramel apple base was more refreshing and sourer than I thought, and it had subtle caramel flavor. 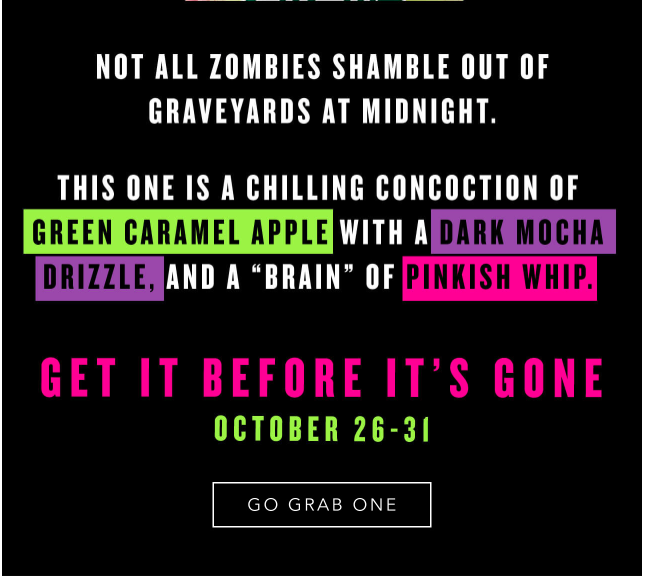 Dark mocha drizzle tasted even sweet with the crisp and tangy green apple. The pinkish whip didn't have anything special but regular one, and it's just pink colored ordinary whipped cream that they use. I wish it looked like the photo on the HP that had more brain-alike shape.